Agus Bima Prayitna was born in 1959 in Kalang Lor Village, Wanagiri, Central Java, Indonesia. Since the age of 17, he has studied mantra with several Javanese masters. In 1986, he completed his thesis “Mantra Aji-Aji Jawa” and earned a bachelor degree from the Department of Languages and Javanese Literature at Universitas Sebelas Maret, Surakarta. 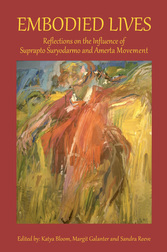 From 1987 to 1997, Agus studied Joged Amerta with Suprapto Suryodarmo. In 1997, he named his work Mantra Gerak and began his artistic and performance practice as Teatr Mantra Gerak.